This is a practical guide to improving your game. 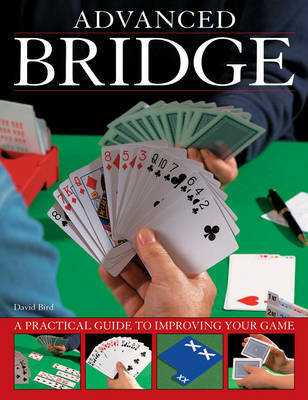 It is a comprehensive guide to every aspect of playing bridge at both intermediate and advanced level. It offers world-class instruction and advice from David Bird, with more than 250 clear photographs and diagrams. It describes the history of world bridge championships, and the players who have popularized and developed the game we know today, including Terence Reese, Charles Goren and Omar Sharif. This is an expertly presented guide for players of all levels, written by one of the world's leading bridge writers. Biographies of the world's most famous players detail their contributions to the game, passing on their top tips for good play, alongside many entertaining anecdotes. Here is an essential source of reference points, with sample deals, tips and professional strategies for intermediate and high-level players. There is a history of the game of bridge that will interest every reader. This is a book with a practical focus on how to play bridge and improve your game, whatever your level, from skills to tactics, both in bidding and card play.